This week Ailsa of Where’s My Backpack? asks bloggers to post photos inspired by “Edge.” This piece of artwork (huh? you call that art?) is all edge in my estimation. It was at the National Chinese Museum of Art. Outside the National Art Museum of China. I’m reading Lisa See’s Dreams of Joy and it takes place about the time this painting was done. One of the main characters is an artist, who painted such scenes. 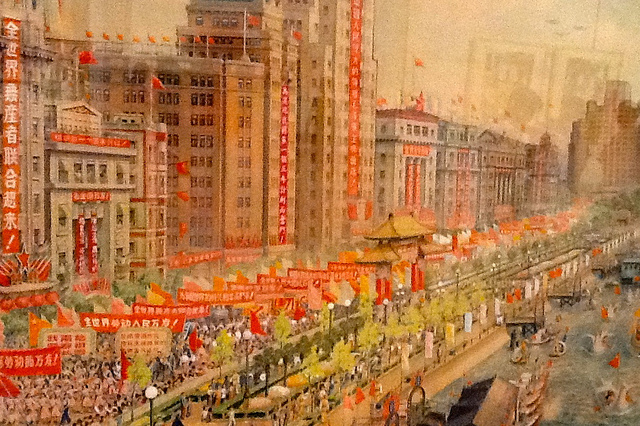 I saw this painting in Beijing at the National Museum of Art.